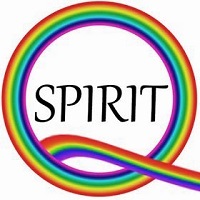 1924: The first homosexual rights organization in America is founded by Henry Garber in Chicago – the Society for Human Rights. The group exists for a few months before disbanding under police pressure. The charter of the organization makes up the background of this station. I knew that police harassed gay bars, but they even shut down our human rights group! Anti-LGBT police harassment is a heavy cross to bear. 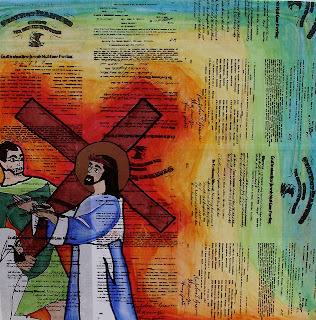 “Stations of the Cross: The Struggle for LGBT Equality” is a new set of 14 paintings that link the crucifixion of Jesus with the sufferings of LGBT people. The whole series will also be shown here at the Jesus in Love Blog this week. Click for an overview of the LGBT Stations by Kittredge Cherry lesbian Christian author and art historian.